If you are targeting local customers and want to rank well for local search queries (or terms), then you would have heard of local or domestic SEO. But what if you want to target international customers or people from multiple continents at the same time? Here’s where international SEO comes into play. Optimizing your site for international SEO is one of the cheapest methods you can use to target international customers easily. Apart from doing specialized on-page SEO for international website visitors, this one is another important step. You should definitely consider optimizing your site for international SEO if you are ranking well for popular search terms abroad, if you are continuously receiving huge amounts of traffic from abroad and if you are an online business dealing with sales, services & digital downloads. Another key factor to consider is that, though Google may be popular in many countries, in some countries their local search engines outrank Google in usage. In these places, you should rely on their local search engines for your traffic. For example, Baidu, Yandex, and Naver are popular in China, Russia, and South Korea respectively. So, let us get started with the International SEO checklist. The first and foremost action you can take is to translate your site’s content into foreign languages. You should use a human translator instead of using online translators because there are high chances of messing with the meaning of the content when you use services like Google Translate or Bing Translator. With the help of a human translator, translate your posts first. After that, you can use an online translator to translate the alt tags (alternative text) used in your images. Moreover, don’t forget to translate your post titles and meta descriptions too to the language of your choice. This is because you don’t want to confuse your potential visitors reaching your site through organic traffic. Though hiring a human translator to translate your content is time-consuming and costs money, it is definitely worth it. What use is of translating the content into another language if the meaning and grammar are completely twisted? So, for the love of God, stay away from online translators. If you don’t trust me, go and see for yourself 👉 Top 10 Advert Translation Fails. Though translation itself is a big headache for optimizing your content for international SEO, there comes another problem associated with it – Localization. You need to localize your content so that people who are reading it in the same language but are from different places don’t feel odd or left out. For example, consider English. English is widely spoken in the US, UK, and India. Though they speak the same language with minor variations in pronunciation and word choice, they vastly vary in their culture and views. What the American may agree to, they Brit may not agree. Things aren’t perceived the same by people from different countries even if they share the same language. Translating your keywords just like that and targeting them in your translated posts won’t produce the desired effect you are looking for when SEO is concerned. This is because a whole lot of meaning can be lost in translation. Translation of a high-ranking keyword in your language may not (or will not, in most cases!) rank well in the translated language. To fix this issue, you need to do some keyword research in your target language and use it in your posts. This is one of the many steps in multilingual SEO best practices. By targeting the right translated keyword, there are chances of driving even more traffic to your site which otherwise wouldn’t be yours. When you’re building a multilingual website, it is better if you can build links to your site in the same language as your target language. For example, your new multilingual site is in French and you are targeting visitors from France, then, you need to build links to your site from sites which are also using the same target language (French, in our case). This is seen as a trustworthy sign in the eyes of search engines like Google and Bing and it would ultimately help you boost your rankings in the search engine result pages (SERPs). Moreover, it would be great if you could replace all your outbound links too with links in the target language. Consider the same example as above and you are targeting visitors from France. Then, ideally, you have to replace your outbound links with posts where the articles are written in French. This is mainly done to gain trustworthiness in front of search engine bots and to make your users’ experience better on your site. You’re a native French speaker and if all of a sudden you are welcomed with an English or Spanish welcome message after clicking an outbound link, how would you feel? It is the same principle we are applying over here too. When you are targeting international visitors using a multilingual website, it is necessary to keep various design and color aspects in mind before getting started. The first and foremost thing is, make sure your website is responsive. Maybe in your country, the usage of the internet via PCs may be more but in many other advanced countries, mobile phone internet usage is growing higher than ever. So, people would expect your site to be responsive and suit to their mobile devices without breaking the site’s design. Concentrating on colors and symbols is also important because sometimes they (certain color combinations & symbols) may be associated with various cultural rituals or they could evoke certain negative or unwanted feelings in some countries. It is better to research and avoid those mistakes beforehand rather than committing it and regretting later. By the way, here’s a bonus international SEO checklist for you [infographic], thanks to Aleyda Solis. Though all these stuff may be looking scary at first, you’ll learn and adapt once you get into it. Combining the right efforts with your time spent will produce the desired effects. Make sure all the information on your site is accurate and updated so that the search engines and people alike can trust it as a reliable source of information. 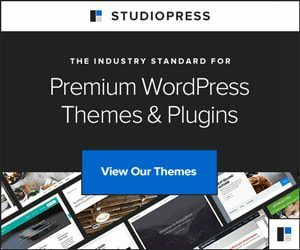 Focus more on your strategy and make sure that the users feel it easy to navigate through your website in addition to producing quality articles. You can also read more about international SEO from Moz. 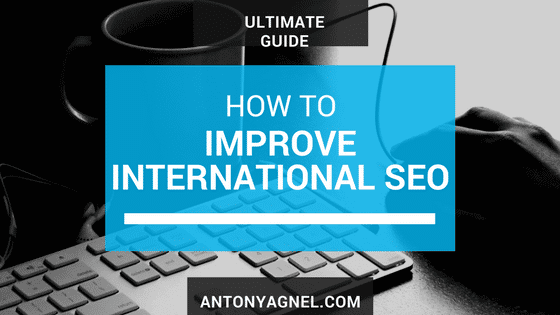 Thus I hope that you found this International SEO guide useful in helping you improve your website’s international SEO strategy. Very Interesting article you wrote here. Very informative, all the best my friend. Hey Felix, glad that you found it informative! Such a unique information you have shared. I have learned many SEO strategies but the one which you have mentioned is really new for me. Thanks! You’re welcome Jennifer. I’m glad that you got to learn something new today! Hi, no one shares such type of articles but you discussed it from international point of view. Thanks! Improve Your Website SEO for Global Ranking & Traffic. Thanks for the share, Kuldeep. Thank you for the useful article, Anto! I am at the link building stage now. It seems it’s the hardest one. You’re welcome Oleg. It looks like you’re quite in the final stages of optimizing your site for international SEO. And yeah, link building is quite hard too. But once you’ve mastered it, you won’t regret the pain you are going through now. Some great tips, Anto! Love to see what people are learning (and teaching) with SEO. You make some really interesting points. Especially liked how you mention the importance of trustworthy links. Thanks again! Hey Gil, I’m glad to hear that you found few interesting points in the above post. And thank you so much for the appreciation, ‘Tis good to hear it from someone working in the SEO-related field. What a terrific advice – targeting for an international audience is never spoke about and its incredibly important . I like this a lot … thanks for the post! You are welcome Jeremy, glad that you liked it. Fitting thoughts and advice, Tony.